Well my fwends we haz a heatwave on da way. 40C gonna be unbarable. So pleeze rememba to stay cool, check owt my cool coat info on me blog, an stay cool, drink lottsa water. An if yoo hooparents seez a dog in distress in a car, call 999 strayt away an if dog rilly rilly in distress smash da window to get doggy out. We can die in cars in da sun, even wif da windows OPEN. Most hoomans fink wif da windows open we be ok, but we not. Even in da shade, its too hot in da car for us. Spread da wurd pals. Save some lives dis summer! Deres no such fing as a disabled dog! Fort I'd share dis wif yoo my fwends. Dere's no such fing as a disabled dog.. Here's sumfin to singalong to and make yoo feelz happy! Coconuts iz very good for us yoo know, hoomans been eatin dem for years an years, an probbly us dogs haz too, but no-one fort about dat til recently. Muvva bin readin all about da benefits of coconuts and talkin to sum ov me fwends who alreddy haz coconut oil in dere diet. 1. Coconut oil improves overall skin health, and clears up skin conditions such as eczema, flea allergies, contact dermatitis, and itchy skin. 2. Incredibly emollient, coconut oil helps moisturize the driest skin and makes a dog’s coat gleam with health — whether you add it to her diet, her shampoo, or both! 3. Applied topically to the skin, coconut oil promotes the healing of cuts, wounds, hot spots, bites, and stings. 4. The antibacterial and antifungal properties of coconut oil help reduce doggy odor, and its pleasantly tropical aroma imparts a delightful scent to a dog’s skin and coat. 5. Coconut oil prevents and treats yeast infections, including candida. Its antiviral agents also help dogs recover quickly from kennel cough. 6. Digestion and nutrient absorption are improved by the addition of coconut oil to a dog’s diet. It can, however, cause stool to loosen; if that happens, just add a few spoonfuls of canned pumpkin to your dog’s diet (go here for more stool-firming tips). 7. Coconut oil reduces — and sometimes eliminates — doggy breath. Some dog lovers even brush their pets’ teeth with the stuff! Which makes sense, as dogs love the taste of coconut oil, and that makes the chore less arduous for brusher and brushee. 8. Like cinnamon, coconut oil helps prevent diabetes by regulating and balancing insulin. It also promotes normal thyroid function, and helps prevent infection and heart disease. 9. Helping to reduce weight and increase energy, coconut oil also promotes mobility in dogs with arthritis and other joint issues. 10. Again like cinnamon, coconut oil is excellent for brain health; it’s being used to stave off dementia in humans, and it’s a must to keep senior dogs’ minds from becoming cloudy. How much coconut oil should you give your dog? When starting your dog on coconut oil, it is absolutely vital that you start slow. Begin slow, start with a tiny amount. Your dog needs to take time for their body to adjusts to the addition to their diet. If you start with larger amount of coconut oil, your dog could react poorly. Side effects can include diarrhea or greasy stools. • ¼ teaspoon per day for small dogs and puppies. • 1 teaspoon for large dogs, or even just a dab if your dog's constitution is sensitive. An dere yoo haz it. Now as yoo know me muvva duz like to get da best price for fings, an wot she found out woz dat sum pet companies are selling dis ere coconut oil labelled 'specially for canines' *wispas* dats us, an bumpin da price up. But if yoo get yoor hoomans to buy it from a grocery store and juz buy organic (dat means nuffin thrown in wiv it) coconut oil dey can buy it half da price ov da coconut oil sold for pets in pet shops. It'z all da same stuff, juzt da label wots diffrunt. But dey gotta make sure its da organic coconut oil. Sounds to me itz a wonder cure for most fings, yea okay, I iz exaguraytin, but itz defnittly good stuff. Here iz a good website dat gives more information about coconut oil for dogs and cats. I gonna go an give muvva da eyez for a spoonful ov da coconut oil, it dunt werk cuz me had it in me brekkyfast but it's wurf a try innit. Me bit upset tday coz me herd ov 2 pals wot woz put to sleep cuz dey went blind. One doggy in America and ovver one in UK. One had dem caterack fings wich vet woznt able to fix but painliss an ovver doggy had wot me got SARDS but didunt haf Cushings. I fink dere hooparents panicked to be honest. It naturel for hoomans to panic. Muvva did it wen me went blind, probbly cuz it only took me bout 2 weeks to go from sighted to blind as a bat. It's bin a few munfs now since me sight went compleetly, but I haz adjusted very well to it. I only rarely bump into fings, well ok, I bump into fings a lot wen me excited and not finkin ware me going, but it makes muvva smile now an she calls me her 'fat lump' and 'blind old bat' I dunt mind. I know she luffs me. I dunt hurt meself wich is da impawtunt fing. Just dents me pride a bit. But hoomans need to know dat although we carnt see nuffin, it dont mean we got no quality of life. See, us dogs, well sight int one ov our main senses like it is wif hoomans. Dey totally lost if dey go blind, ware as we got super sense of smell and taste and our hearings much better. Well let's admit it pals, we iz superior to hoomans altogether. Dey juz dunt know it. So wen we goes blind, it not end ov da wurld. We soon find our way round our home by smell. An did yoo know, not many furs know dis, but evfurryfing in our homes smells diffrunt. So we knows ware a sofa is cuz of it's smell an da chair got a diffrunt smell, so has table or chairs or anyfing. So if hoomans move furniture round we know ware it moved to. Clever int we? *puffs chest out wif pride*. Now me used to bein blind, I iz more happy in meself. I plays wif me furbro and Gizmo, and me can run around in da garden, and me used to sit by da fence and talk wif our duckies for ages. I can also enjoy a game wif me toys. It makes muvva larf sumtimes if me gets over excited and frows one ov dem in da air an den carn't find it wen it lands, but she usually picks it up and drops it just infront of me snout so I finds it agen. Sumtimes I pretends me carnt find it on purpose so she plays wif me more. Me hearing's got more acute too, wich muvvas not so pleesed about. Cuz me can hear a car door slam or anovver dog barkin 3 miles away she sez. *rolls eyes agen* She can be so sarcastic at times. pfffft But me can hear fings even Mojo or Gizmo carnt hear. Oh yes me hearin is supersonic. An I can smell a treat or food from a long way away, it's no good muvva tryin to pull da wool over me eyes, cuz I can smell better dan anyone ware foods concerned. So yoo see pals, juz cuz me blind dunt mean me qwolity ov life is rubbish, infact it's better in sum ways dan a sighted furpal. Da only fing I wish is I never had Cushings, cuz dat spoils fings. But as far as me lack of sight goes if it woz just dat and me didnt haf Cushings muvva wud be qwite happy. So if yoo know ov any pals wot gone blind, tell yoor hooparents to haf a werd wif dere's and tell 'em dat being blind not end ov da werld and defnittly not a deff sentence. Once yoo get used to not seeing anyfing, and da hoomans got used to a few little changes in dere life and yoors den life can be wondfurful agen. Infact blind dogs can be even more lovin dan sighted dogs sumtimes. An if yoo intrested in adopting a blind dog here's a grate website for da UK. Spread da wurd my fwends. Loves yoo all so much! Well da duckies go to dere new home tomoro. Dey iz going to live on a farm wif a retired farmer down West Cornwall, so about an hours drive away. I will miss dem terrubly cuz me luvs sitting ovver side of da fence and talkin to dem, and dey sit and listen to me an answer me back sumtimes. But I spose we iz lucky dey iz all goin togevver insted ov bein split up. Da man is retired farmer, and dey gonna patrol his garden to eat all da slugs an snails he got. He sounds a very nice man cuz he said he wanted to keep ducky fambly togevver cuz all animals got feelings. Plus dey will be livin in dere little blue house so won't feel too upset at bein in new home. Muvva very fankful dey got a luffley new home to go to wiv a nice man to care for dem. I fink he gonna luv dem a lot. It will be a sad day wen dey go, and I spect we will all haf leaky eyes. But hopefully once dey gone da nasty neighbour will leave us in peace apart from comlainin about us barkin wen we see him shufflin around in his garden, or wen muvva comes home after visiting hoouncle. Talkin of hoouncle, he is still in da hospital. He was taken down dere Thursday to haf da fluid drained from his tummy, but dey sed he didnt haf an appointment. He did cuz he had letter from dem wich he showed dem, but dey still sed he didn't. Anyway, dey found a bed on a ward for him an kept him in til yesterday and did da procedure yesday an kept him in anovver nite, last nite, incase it leaked ware da pipe went into him. Muvva waiting to hear if she got to collect him today or not. Den she gotta take him back to da nursing home. Dere's not much news rilly from me my fwends. Muvva not vewy well, I fink all da stress iz gettin to her, so we wotchin her carefully *glances across at muvva*. Sumtimes she wishes dat hoouncle wud pass away in da night so he not sufferin anymore, and da stress stops, but den she feels guilty for feeling like dat. She tries to see him evfurry day, incase it da last day she sees him. She still busy sortin out his bungalow, and clearin his belongings from it. It a mammoth job as he lived dere for over 40yrs. But she making progress wif dat slowly. Once it nearly all gone and da bungalow empty she can let da council know and dat gives her more time to do a major clean so it nice for handing over. I fink she gonna need help to do da clean up so she gonna ask lady dat did cleaning for hoouncle to help her. Muvva not sure if we stayin in our nice new bungalow. It depends on da nasty neighbour. If he still won't leave us alone, I fink muvva gonna look for someware else for us to live. We only wants to live in peace. We very happy here apart from nasty neighbour, muvva feeds da burds, and we got babies in all our nest boxes, and we got so many diffrunt burds visiting the garden its amazing. It's like a nature reserve! She planted lots of flowers for da bees and we got so many of dem in da garden yoo haz to be careful dey dunt fly into yoo wen yoo walking about bol Its luffley. So da wildlife depends on muvva too. Dere's 2 pairs of Blackburds dat haf brort dere babies to meet us, plus da Robin babies, and dozens of Sparrows and lots ov Thrushes too. In da mornings da dawn chorus is deafening now. Dey iz all in da hedge at da back of da garden singing dere hearts out, and da same at dusk wen dey getting reddy to go bed. It's bootiful. Well me gonna go out and check up on duckies cuz I gotta look afta dem today. I hopes yoo hazin a sooper Satday my fwends. Take care and love one annover! Hello my fwends. At last muvva got time to scribe for me so I can get me forts down and talk to me pals. Itz been a topsy turvy old week, and me glad da weekend iz here. Muvva's bin on an emotional roller coaster agen wif hoouncle and we bin so busy cuddlin her and showin her dat we iz here to luk afta her. Hoouncle loves da nursin home ware he went dis week. His room is nice an big wif his own baff room an evfurryfing and he luffs it. Da Early Intervention Team as dey called, iz da hoomans dat assess if da poorly hoomans is better off in dere own homes or in nursing home, haz been to see hoouncle an tried to get him to change his mind an go back to his own home, not cos he well enuff, cos he not, but cos it cheaper for da NHS to send him home regardless ov if he well enuff or safe to be dere. Muvva rilly angry wif dem, cuz at times hoouncle not well enuff to fink straight and cud haf been sent back home an wud haf had a nasty accident and ended up back in hospitul. But hoouncle haz told dem no way he goin home as he feels safe and is happy ware he is. Da nurses are wonderful and care for him 24/7 and he is at last eating a little bit of food. So da Early Intervention Team wimin went off wif a flea in dere ears an won't be bovverin hoouncle agen. Muvva went to see him last night, she goes in evfurry day, either aftanoon or evening, and he sed da nurses had asked him if he wanted a more quiet room, cuz da lady in room next door kept shouting for help all da time and he woznt getting much peace. He woz too ill to go look at it, so muvva went to see it and he sed he would go wif wot muvva fort woz best. Well muvva sed she woz qwite impressed cuz da room woz even bigger dan da one he in now, and woz rilly nice. So hoouncle movin into it dis aftanoon an muvva goin to help. He will haf more room in dere for all his fings, like his new TV he bort juz bfore he woz ill, and bits and bobs wot mean a lot to him. Plus it betta room for wen we can go visit him. We had to give muvva extra cuddles wen she got home, she woz bit upset. She gets like dat. I fink it's nachurel for hoomans wen one of dem is goin over da bridge. Her and hoouncle haz time to talk ov fings dat dey wouldn't haf a chance or inclinashon (big werd) to talk about if hoouncle woznt ill. Dey talked of all sorts of fings, but mainly about dere childhood. Woz a grim horrible cruel period in grandies life, and he came back a broken hooman, fizickly an mentully as did all da men. Dere woz no counsellin back den and grandie an grammie's marriage woz unda so much strain dat dey woz always arguing and dere was always rows and upset an hoouncle woz just a little boy cort up in it all. As soon as hoouncle was old enuff he woz packed off to da army at age of 16, to join da Junior Leaders. He didnt come home much bcause woznt a nice place to want to go back to. Den 11yrs later muvva woz born. She woz a mistake, as grammie kept telling her all her life. She woznt rilly wanted either. She neva wanted to go home afta school, cuz ov da rows and bad feelin, so she wud hide and grammie wud spend time lookin for her. She never even knew she had a brofur til he came home on leave once, so dey woz never rilly close like most siblings iz. Den he woz off agen afta leave and she didnt see him for a long time. Muvva's childhood woznt good, she dunt rilly remember much only da sad times. She sez she cant rememba anyfing good about it. But wen gradnie died she woz devastated cuz she woz grandie's favwite. And wen grammie was ill wif cancer, she gave up her job and cared for grammie for a few years til she passed away. Now hoouncle is dyin, dey are speakin of da fings dey went fru in dere fragmented dysfuntional childhoods, ware love came in fleetin and few momunts, and how dey craved a happy fambly like ovver kids had. Dey woz like two only hoochildren rilly. But now dey makin up for it, and can speak of dose terruble years and dey haf each other. What so tragic is dat now dey close as siblings should be, it all gonna be snatched away from dem soon. But least wen time comes for hoouncle to go over da bridge, he will go knowing his sista and how much she loves him, and dat gives dem boff comfort. I sowwy dis a vewy sad blog tday, but me wants to show yoo pals, dat no matter how long you go wivout love or live yoor life wivout a lovin fambly dere is always hope dat at some point in our lives we do find it even if it only for a short wile. I know all my furpals in rescue or wanderin streest finkin dey unloved and unwanted feels dat way, but like muvva and hoouncle, dey found love and each ovver in da end. So we must neva give up hope pals. An somehow dat love and understandin is so speshul dat it makes up for all dem years wen we neva had it, and means as much, if not more dan if we'd had love all our lives. Evfurryfing in life is frown at us sometimes and we feels so sad and helpless, but dere's always love. Wich is why me keeps harpin on, yea I knows, yooz finkin 'here she goes agen' but it impawtunt, always always show each ovver love and empaffy, espeshully online cuz we not know wot goin on in ovver furs lives, and sumtimes we fink some fur's a bit tetchy but probbly dey got problums in dere life an we dunt know about dem. And as fur our final day wen we takes dat trip to Rainbow Bridge, it's all part of life, an we all haz to do it. It sumfin we can't avoid, and itz part of lifes cycle. Hoomans shudn't be afraid ov it. Hoomans dat makin da journey gets scared, and da hoomans dat dey leave behind get scared but it dunt matter how young or old we iz, if it our time to go to da Bridge it our time. It nuffin to be scared ov. It a peaceful place an someware we iz all gonna be togevva and someware dat deres enuff love for each of us, surroundin us and consumin us. A love like we've neva known before and so powerful and so peaceful. An if we can give some love before we gets to da Bridge, hoomans too, den it makes da werld a betta place. It dunt matter wot da hoomans believe or wot faith or belief dey hold, its dere way of makin sense of da love and how dey should show it to each ova an because dey not know like we do, wot waits for dem over da Bridge. So juz share da love my fwends, cos dere's always love. And togevver if we all share da love, den fings dunt seem qwite so bad. Cos we know we not alone, and we iz loved. Me goin now cuz me face fur's a bit wet for sum reason *wipes eyes wif paw*. I love you my fwends. Tiz a vewy sad day today. Muvva qwite upset an we tryin to cuddle her and cheer her up. Hoouncle goes into a nursing home today, muvva goin down to pack his clothes an fings at lunchtime. He vewy upset he got to leave his home, but he realises he at risk at home on his own an dat he will be cared for 24/7 by nurses in da nursing home. A carer spent da night at hoouncles to make sure he was ok, as doctor said she didnt want him left on his own last night. It must be very trormatic for hoouncle to leave his home. He has lived dere over 40yrs an has loved his home. Since his wifey died 8yrs ago he not been happy dere and missed her so much all he wanted to do was join her. Last year he started to cheer up an muvva said dis summer we would all go out togevver once a week for day, on da moors or seaside, so we dunt waste time and have memories to fink about in da winter munfs. He woz lookin forward to dat, an now dat not gonna be possuble cuz he too poorly and not gonna live long. So he gonna be beside hiself wif sadness today an muvva gonna be wif him to comfort him if she can. Doctor and muvva spent a long time yesday explaining how much better for him it wud be if he was in nursing home, and eventually he could see dat it would be best for him. Yesday evening dere woz 2 wimin came to reassess hoouncle and allocate him a place in a nursing home, and to muvva's distress dey tried to convince hoouncle he shud stay in his own home. So muvva told dem dat doctor lady sed he was too high risk to stay on his own as he falls a lot and can't get to baff room qwick enuff an den can't clean hiself propply, but all dey said woz, 'its up to hoouncle if he wants to go or not' Muvva was rilly angry, cus dey woz just confusing hoouncle and makin him upset. In da end dey said dey had a bed in a nursing home and dat he could try it for a week but if he didnt like it he could go home agen. Undermining all da doctor had done earlier in day. Muvva was so angry. Dey walzed into hoouncles, never seen him before, dunt know his medical needs or how he iz evfurry day and den tell him he be better off stayin at home and he not haf to go into home if he not want to, and dey woz rude to muvva as well sayin it not her or doctors decision wevver he goes or not. Den dey asked wot community matron thought, and muvva sed dat matron shud have seen hoouncle on 2nd June but no-one came near him, and no-one from surgery bothered to visit him either, he's seen no-one, and nuffin wud haf been dun if muvva hadn't gone balistic on phone to dem day before yesday, dey juz looked at muvva blank expressions. Muvva had typed out care plan telling carers what dey had to do for hoouncle and deez 2 wimin sed dey woz impressed wif da careplane doctor had done, so muvva never sed it wasnt doctor it woz her wot dun it. But if muvva hadn't dun da care plan da carers wudnt haf dun anyfing only made hoouncle cup of tea and sat and chatted to him. Dey useless. Muvva not impressed wif dem either. I fink she gonna tell doctor today, an doctor not gonna be impressed wif dem. All dey did woz upset hoouncle at a time wen he woz alreddy sensitive bout leavin his home. Stoopid wimin. So muvva upset about dat, an she upset about da duckies. Da housing association housing officer telephoned muvva yesterday and told her dat she got to find homes for duckies, cus she not allowed to keep dem now. Dey said dat if she allowed to keep dem den it wud set a precedent an everyone wud want to keep duckies. Dis is cos dat horruble neighbour complained an sed he didn't like idea of duckies living near him. He da man wot complained about us barkin too, but we only bark wen sumone comes to our door or wen muvva gets home from visiting hoouncle and we quiet agen after less dan a minit. Muvva told housing officer she woz bein discriminated against and housing officer said no she wasn't and dat dey weren't dictated to by someone making a complaint, so muvva told dem she thinks they are bein dictated to. She was very upset. Not only dat, but housing officer sed dey would prefer it if muvva rehomes Gizmo. Muvva said she can't rehome Gizmo as hoouncle will most likely want to see him at some point and besides dat Gizmo has special needs too and muvva not happy about rehoming him even after hoouncle has passed away. My fwends no way iz muvva rehoming Gizmo, he part ov our fambly now and he not goin anyware. Muvva really unhappy and wishes she never moved here last year, cuz it seems evfurryone else can do as they want and live as dey want but we not allowed to, even tho we not causing any problems. All because of one person complainin. Evfurryone else got no complaints about anyfing, just him. An he only complainin cuz he didn't like da new bungalows being built behind his house an it juz unfortunate dat we lives in da one next to him. Muvva scared he frow sumfing over da wall for us to eat and make us ill, but I dont fink he wud do dat. Muvva goin to look into house swopping cuz she finks she cud probbly swop dis house for anovva one, but how wud she know neighbours wud be nice at anovva place. Coz some peepul juz like to make ovver peepul's lives a misery deez days she sez. It not fair muvva got to fink about moving wen dis little place woz so perfick for us all. I wish peepul could live in peace insted ov wanting to bully and hurt each ovver. I will never understand some hoomans. So it a very sad day today. Muvva has had so much to cope wif lately and had nuffin but heartache deez last few months, an now she got more upset and hurt to cope wif. We love our muvva and we sad to see her so distressed. Tomorrow muvva got to have a special scan fing wots qwite painful, she had one before Chrismuss and she woz poorly for 2 weeks after so she dreading haffin it agen. It so see if da fings in her tummy has changed to cancer, doctor sz it just a precorshon and probbly evfurryfing ok, but yoo hoomans duz worry over fings. Hopefully, and we say dis wif paws togevva, evfurryfing is ok and da specialist man can sign her off as healthy. We duz hope so. Muvva had so much to put up wif it not fair. I will update yoo about muvva wen she gets results, but she gotta see specialist man after da scan, and dat will probbly be anovva month cuz dey dont do fings very qwickly. She gonna be on teneterhooks til she knows result. So dats all me news for now pals, not good news is is. We gonna spend a long time asleep today I fink, cuz muvva gonna be out for couple hours seeing to hoouncle midday and we guarding house. So me gonna keep dis short tday, an give muvva anovver cuddle cuz she dunt look very happy. Sunny Sunday at last Summer has arrived! Good day to yoo my fwends. Summer has arrived at last dis weekend here in Cornwall. I bin outside sun bavin smornin, but itz too hot to stay out dere long. Dunt leave dogs in da car wen it parked even wif da windows open a bit, cuz dey still cook inside and die an orruble deff. When it’s 22°C/72°F outside, the temperature inside a car can reach 47°C/117°F within 60 minutes. Dogs pant to keep cool. In hot stuffy cars dogs can’t cool down - leaving a window open or a sunshield on windscreens won’t keep your car cool enough. If you see a dog in a car on a warm day, call the Police on 999. If the police are unable to attend, please call our 24-hour cruelty line 0300 1234 999. Act quickly, heatstroke can be fatal! If dogs show any signs of heatstroke, move them to a shaded, cool area. Ring your vet immediately. Immediately douse them with cool (not cold) water, to avoid shock – you could use a shower, or spray and place them in the breeze of a fan. Let them drink small amounts of cool water. Continue dousing until their breathing settles – never cool dogs so much that they begin shivering. Once your dog is cool, immediately go to the vet. Your dog must always be able to move into a cooler, ventilated environment. Never leave dogs alone in cars, glass conservatories or caravans even if it’s cloudy. If you do leave dogs outside, you must provide a cool shady spot where they can escape from the sun. Always provide good supplies of drinking water, in a weighted bowl that can’t be knocked over. Carry water with you on hot days. Groom dogs regularly to get rid of excess hair. Give long-coated breeds a haircut at the start of summer. Never allow dogs to exercise excessively in hot weather. Dogs can get sunburned – particularly those with light-coloured noses/fur on their ears. Ask your vet for advice on pet-safe sunscreen. Now da second fing me got to say today is how to help us keep cool in da hot wevva. Hoomans can buy us speshul cool coats, to keep us cool and stop us getting overheated, but dey expensive, and not all our hoomans got enuff money to get us one, cus dey got ovver fings to pay for and evfurryfing so expensive deez days int dey? So me found a patter for a cool coat dey can make us at home. It's ded easy and it werks on da same principul as all dem shop bort ones, evaporashon! *nods and taps snout*. So why pay lottsa money wen dey can whip up a DIY one in a couple hours? Whats dat? Muvva carnt sew? Shame on her! *wispas* between yoo and me, my muvva sews wif red hot needle n burning fred as gramma used to say. She got dog teef stitches dey dat big and uneven Bahahahaha BUT my fwends dis ere DIY cool coat is made on a sewing machine and as long as yoo muvva can press da foot pedal and point da material in a straight line under da sewing machine foot fing she can make yoo a cool coat. Dey can do more dan dey fink, dey clefa fings deez hoomans, but dey need to be told dey iz capable and can do it cuz dey tend to fink dey useless. Well dey is at sum fings like werld peace and all dat stuff but sewin a little old cool coat int one ov dem useless fings. Even hoodads cud do dis one. 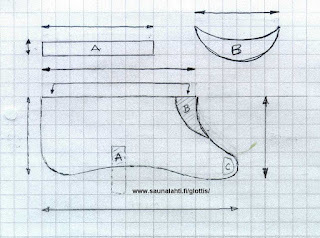 Here’s a great project (from Finland) for a DIY version of the cooler coats like the Swamp Cooler, the Keep Cool Coat, or the Cool K-9 Cooling Vest. All of them use evaporative cooling to keep your dog from over-heating, though obviously you shouldn’t rely on it to keep your dog cool in a locked car or anything like that. Once your DIY Cooler Coat is finished, just soak it in cool water, ring it out lightly, and place it on your dog. Also need a plate to put da money on each time hooman uses rude werd wen sewing, it cud add up to enuff to buy some treats! 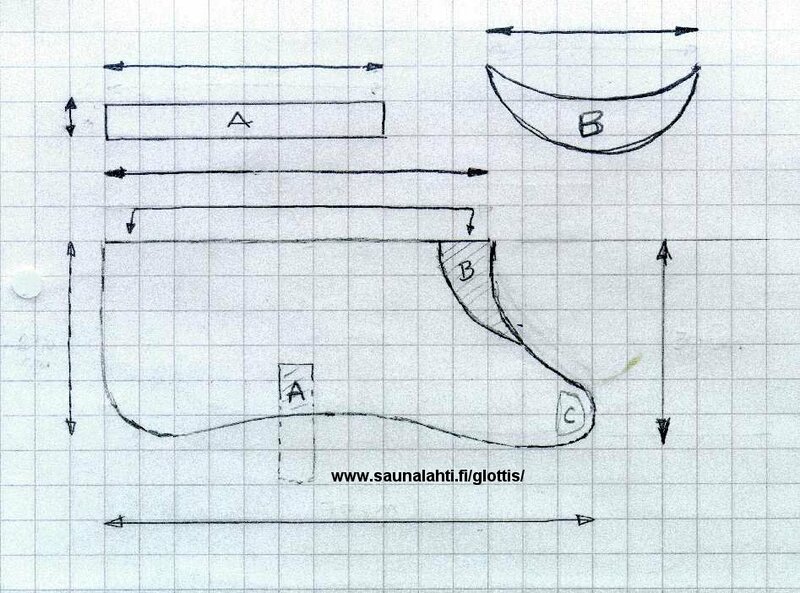 Dowload pattern HEREThe instructions recommend leaving the collar off this pattern when making the Cooler Coat. They also suggest fitting the velcro closure on the neck before working on the stomach closure. Cut the fabric. 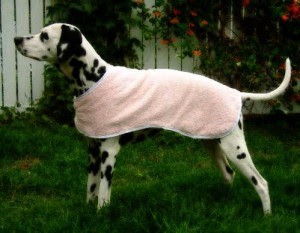 Don't cut out the collar (part 'B') as it's not needed on the cooler coat (this pattern can be used to make a normal dog coat). Sew the finishing strip all the way around the edges. Sew in the front velcro, if you do not want to use there velcro at all, sew pieces together. Just be sure that dog's head can fit through. Sew stomach band in place from one side, sew also some velcro to it's free end. Try the cooler coat again, now it's easy to spot the place for velcro so that the stomach band works. Sew it in place and the cooler coat is finished! An dere yoo haz it pals. Easy peasy bacon sqweezy! Muvva finks it'd be better if da coat woz double thickness insted of juz one thickness. Cuz wud stay cooler longer. If yoo hooman rilly is totally useless, an dunt be embarrassed cuz a lot ov dem are, tiz luck ov da draw if we gets a good one or not, den I wud suggest dey just use an old towel and put it ova yoo to see ware to fix da velcro or even safety pins to hold it on. Corse if yoo got one ov doze helpless hoomans dey probbly good at summit else besides sewin, like picking da bestest noms eva from da shop an waitin on yoo nose and paw! Carnt haf it all pals. Qwick update on hoouncle, cuz I knows yoo iz wondering how fings going. He not doin well at all bless him, and muvva rilly worried bout him, she not happy neivver cuz she can sees him gettin more frail each day and more unable to cope wif ordnary fings. She finks he shud be in hospice but she fighting da system to get him da care he needs an shud haf. But he hangin in dere and not givin in yet, but between yoo and me we dunt fink he got a lot longer an it very hard for me and muvva to cope wif. So we trying to lead as normal life as we can, and muvva trying to be brave and show da werld she happy go lucky wen inside her werld feels like it fallin apart. Well me gotta go now my dear fwends cuz I got to check on duckies and make sure dey ok. Haf a grate day my fwends. Love each ovver and enjoy each ovvers company. Treasure each minit my darlin pals. Well da wevver men say dat here in da UK we iz gonna haf a heatwave by da weekend. Dat means me muvva will be stayin indoors in da cool and da curtains will all be closed to keep da sun out *rolls eyes*. She wurries bout me cuz me got white fur as yoo know, an all anipals wif white fur iz more likely to get skin damage and skin cancer if dey out in da hot sun. 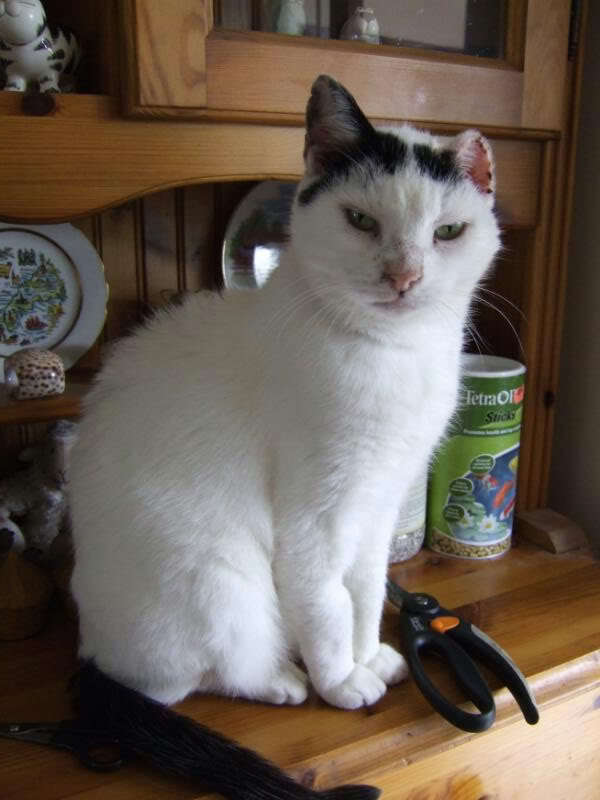 One ov me fursibs now OTRB had white ears, one ov fossil muvva kitteh Sophie's sons akshully, he woz called Spot. Anyway me gone off track now ware woz I? 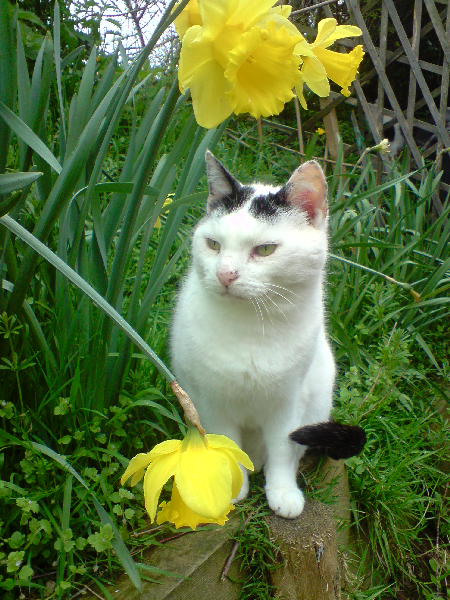 Oh yea, Spot had white ears, he woz white all ova except his tail and a butterfly shape on his head an part of one ear, wich woz black. Here's a pic ov him wif boff his ears. and here he is wif one ear afta his amputashon *wispas* da secaturs in da pic woz not used to cut his ear off Bahahahaha Muvva left dem on da side afta prunin sum plants in da garden. He had little bumps come up on his ear an den dey went all scabby cuz he kept scratchin dem, so muvva took him to da vet and vet sed it woz skin cancer an to wotch it carefully an if it get too bad he'd haf to come in to haf his ear amputated. Well it got wurse, and very quickly too so poor Spot had to go in an haf his ear off. Vet lady at da time made a very good job ov it and da hair grew back quickly round da edge so it didunt really notice dat much apart from bein half da size of his ovver ear. He was ok for bout a year, den muvva noticed lickle spots on his nose ware da fur woz and so Spot went back to da vet who agen sed keep eye on it. Woz about 6 munfs before it got really bad and dere woz big scabs on it dat he wud scratch an make bleed, muvva used to bathe dem for him cuz vet told muvva dey woznt painful, but afta a wile muvva wondered if dat woz troo cuz dey woz qwite deep holes wen da scabs came off. Muvva cudn't see Spot like dat as he clearly woznt happy kitteh anymore so she took him in and da vet sent him OTRB. He went peacefully in muvvas arms. Needless to say muvva woz heartbroken but she dun da best for Spot like a good hooparent shud, no matter how much it hurts. So Spot woz now OTRB wif his brofur Soots. Soot's had gone over da bridge almsot 2yrs before. He'd had problems wif crystals in his bladder. From da tests and scan dere woz lots, too many to dissolve so he was booked in vets to haf dem removed under anisfetic. Sadly he had heart failure wile asleep on da operatin table and went OTRB. Woz a shock for muvva cuz she fort he wud be home and be better. So now boff Sophie's boyz woz over da bridge. Soots woz 14 and Spot went wen he woz almost 16. Dat left Sophie puss an dorter Toots. As yoo know dear Sophie went over da bridge last munf after a stroke, and a week before her burfday, she'd haf been 21. So now we just haz her dorter Tootsie and sista to Spot and Soots, Tootsie is 20. We also has Lily la Puss who not related to Sophie & her fambly, and Lily is 8yrs old. So anyway, me gone rite off da track ov wot me woz saying, and wot da point ov me post iz to say make sure yoor mums and dads get some hooman sun screen (cuz it da same as stuff vet sells) and put it on yer ears and noses to protect dem from harmful ultra vilut rays ov da sun. Den yoo won't get skin cancer. 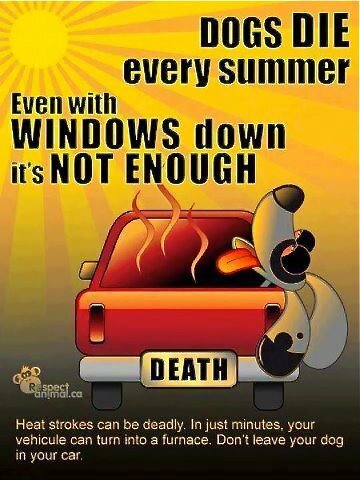 An wile me on about da heat wave, dunt forget dat dogs die in hot cars. So never let yoor hooparents leave yoo in parked car even if da windows is open a bit or wide open, cus temprichure still rises too high for us fur kids and we overheat and die ov heatstroke, and believe me it not a nice way to go ova da bridge pals. It like bein cooked alive. 1. Location as details as possible. 4. If owners are nearby or noware in sight. Den wait wif da doggy til RSPCA & police arrive. If it takin too long and dog is in serious distress, find sumfin to smash da car window, dunt worry if alarm goes off, dats not impawtunt, impawtunt fing is to save doggy's life. Once window smashed try and get doggy out wivout hooparent cutting demselfs or doggy an get wet blankie or wet coat anyfing damp and cover doggy to try an cool dem down, and offer water. Hooparent mite haf to gently an carefully dribble water into doggy's mouf. Make sure someone got hold of doggy, so it not jump up and run away, cus dat wud cause anovver problem den. If owners come back an find yoo's hooparents smashed dere car window dunt let hooparent loose dere temper wif dem, juz explain RSPCA an police is on dere way an if hooparent not smashed window doggy wud now be ded. Most good owners wud be horrified to fink dey might haf killed dere doggies. If dey get nasty wif hooparents, tell dem if doggy had died dey would haf been prosecuted so hooparent dun dem a favour. On a not so seryuss note, dunt sit out in da sunshine too long, wen yoo starts to get too hot yoo must go indoors in da shade and take a drink ov water. Cuz yoo can get heatstroke sittin in yoor garden, hooparents can get it too. Dey get headache and dizzy feelin, well so duz we pals. Cept we can't tell hooparents an sumtimes we dunt know we getting heatstroke. Fink dats about all me advice for dis post pals. I hopes yoo dunt mind me sayin. But I duz loves yoo all so much me dunt want anyfing to happen to yoo my fwends.